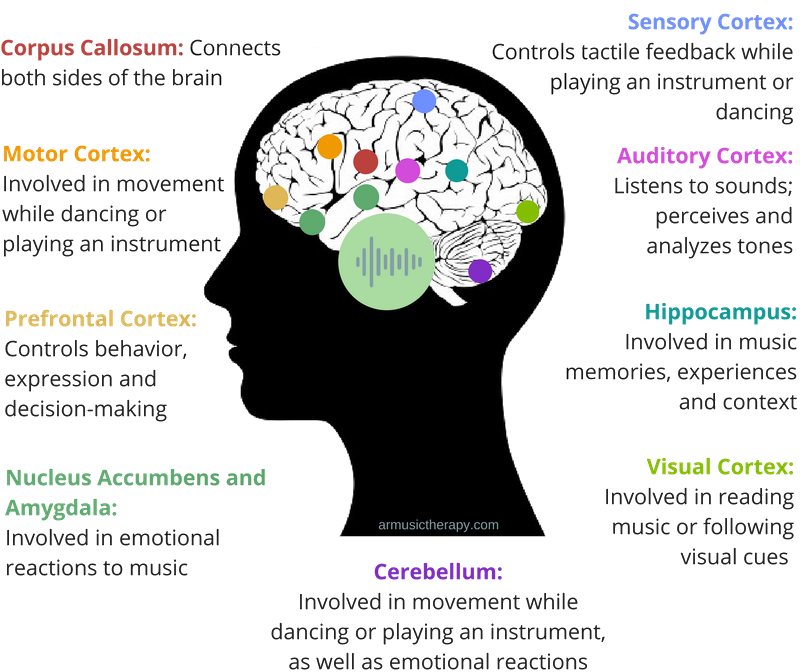 Engaging in a music activity stimulates many parts of the brain! Children, adolescents, adults, and the elderly with mental health needs, developmental and learning disabilities, Alzheimer's disease and other aging related conditions, brain injuries, physical disabilities, and acute and chronic pain. ​Where Can Music Therapy Take Place? Medical hospitals, outpatient clinics, day care treatment centers, agencies serving developmentally disabled persons, senior centers, nursing homes, schools, and private practice. ​​What Are the Requirements Of A Music Therapist? ​*The credential MT-BC is granted by the Certification Board for Music Therapists (CBMT), to identify music therapists who have demonstrated the knowledge, skills and abilities necessary to practice at the current level of the profession. The purpose of board certification in music therapy is to provide an objective national standard that can be used as a measure of professionalism by interested agencies, groups, and individuals. "(Music therapy) can make the difference between withdrawal and awareness, between isolation and interaction, between chronic pain and comfort - between demoralization and dignity."